↑ Beebe (1971), p. 176. ↑ Vora, Avinash (2008-10-20). 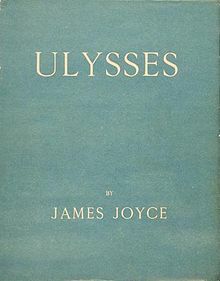 "Analyzing Ulysses". สืบค้นเมื่อ 2008-10-20. ↑ "100 Best Novels". Random House. 1999. สืบค้นเมื่อ 2007-06-23. This ranking was by the Modern Library Editorial Board of authors and critics; readers ranked it 11th. “A Portrait of the Artist as a Young Man” was ranked third by the board. หน้านี้แก้ไขล่าสุดเมื่อวันที่ 7 มีนาคม 2558 เวลา 03:23 น.